Compressor: “twin rotary” or “scroll” type with brushless DC motor controlled by inverter and operating with R410A. Fans: axial fans directly coupled to the 6-pole electric motor with rpm regulator. 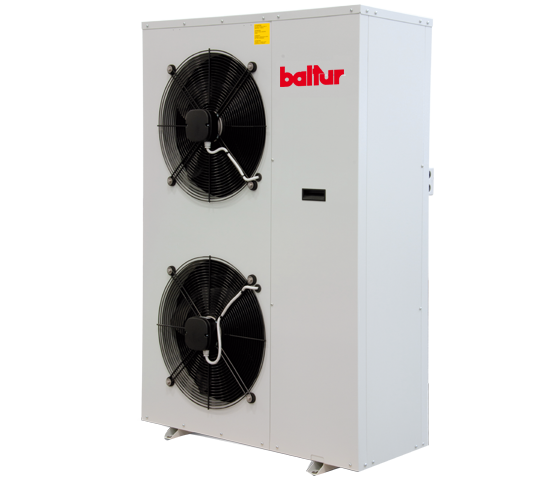 Cooling circuit: including all control and safety elements and equipped with electronic thermostatic valve. "P" version: it includes PUMP, expansion tank, hydraulic circuit water drain valve, 6-bar calibrated safety valve corresponding to the maximum value of the allowed operating pressure. • Exchanger, pump and tank anti-freeze resistors (AP versions). • External probe. 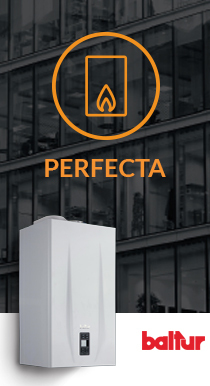 • Domestic Hot Water automatic management. • Electric management (from control) of two MIXED areas. • Standard DHW management probes.